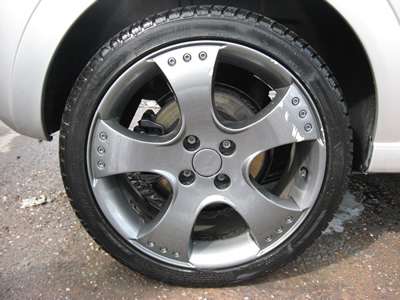 We offer a service that can restore the wheel to its original condition, normal repairs start from £50 per wheel. eg - kerb damage. We can also change the colour to customise your vehicle. 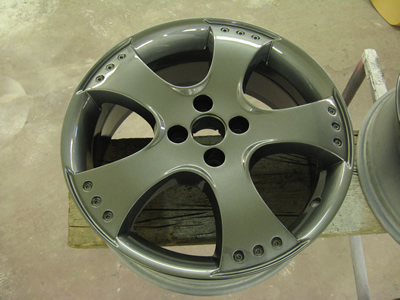 Most alloy wheels are repaired onsite in our alloy wheel refurb bay. Wheels with heavy corrosion are sent away to be stripped and shot blasted . These can also be painted any colour you wish. These types of repairs start from £60 per wheel which includes stripping, shot blasting and painting.